13 May 2015, the European Commission presents its blueprint for a European Agenda on Migration: this had been announced as one of the ten political priorities of President Juncker for his five-year mandate A New Start for Europe. 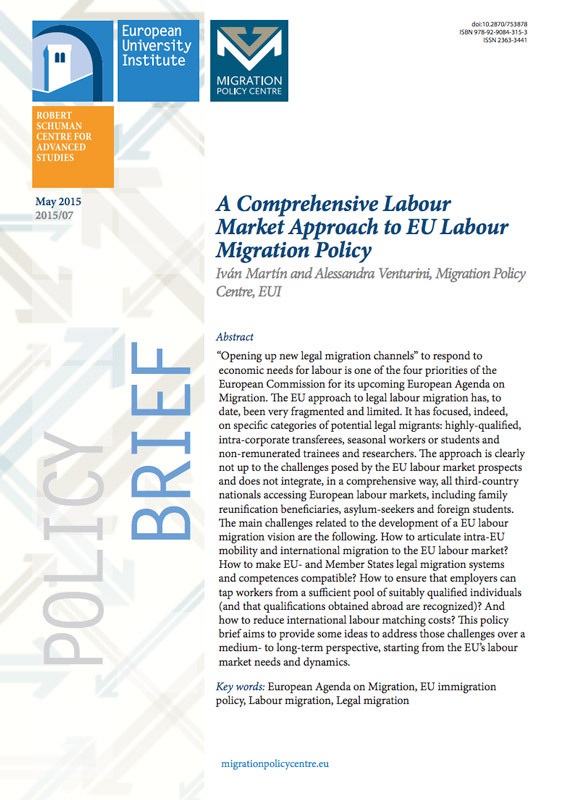 On this occasion, the Migration Policy Centre has put together a set of four policy briefs dealing with the main priorities defined by the Commission. They concisely set out the state of play at the EU level and the main challenges in each of the areas. They explain the need for reform of the current legislative and policy framework and assess the need for an EU-wide approach on each of the issues. Finally, the MPC researchers propose a number of concrete ideas for action. These will serve as a kind of benchmark, against which the ambition of the European Agenda on Migration can be tested. The four policy briefs, written and internally published before any drafts of the Agenda were released, are also meant as a specialized contribution to the upcoming debate on these four issues.